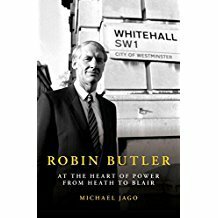 One contemporary social historian describes Robin Butler as a member of ‘The Establishment’ and ‘born to rule’. 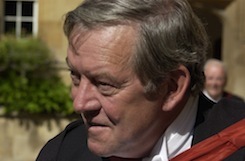 With his background – Harrow, University College Oxford and a rugby Blue – Lord Butler manifestly belongs to the ruling class that the writer decries. This biography traces how, as a young man, he conformed to the image of a man born to succeed, even to rule. Yet he used his success to implement what he saw as overdue reform, campaigning hard for the modernisation of the Civil Service and later, as Master of his old college, in broadening the base of admissions to include a greater percentage of undergraduates from less privileged backgrounds. If Butler was privileged, he used that privilege to implement reform rather than to maintain or make tactical, superficial adjustments to the status quo. The central conclusion is that he occupied the post at a pivotal time in the evolution of the ‘modern’ Civil Service, that, after occupying centre stage in Margaret Thatcher’s and John Major’s administrations, he was on the one hand marginalised by New Labour after Tony Blair’s 1997 election victory, and, on the other hand, a reassuring symbol of ‘the old order’ when the Prime Minister and his associates needed to defend the government’s decision to invade Iraq.
" Michael Jago is a distinguished biographer who has written well-reviewed books on numerous front-rank politicians, notably Clement Attlee. "